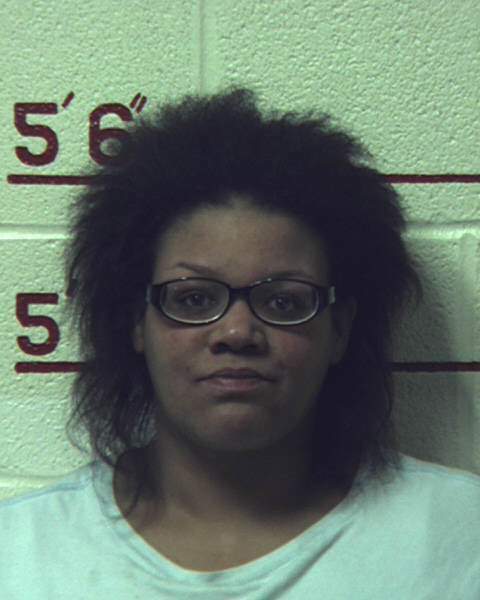 CLEARFIELD – A Mahaffey woman will be spending up to 40 years in state prison for the murder of her boyfriend. Kayce Marie Lee, 32, pleaded guilty to third-degree murder Tuesday for the death of Richard Allen Bennett, 58, during the early morning hours of Feb. 4 at their Mahaffey residence. Lee had reported him missing, but police were able to find him lying face down only 30 feet from the home. He had been stabbed during an argument between the two. A witness told police Bennett had appeared at his home about a month earlier, after another incident when Lee had stabbed him. During sentencing court Tuesday, Judge Paul E. Cherry sentenced her to 20 to 40 years in prison after listening to her pleas for mercy. Lee cried when she was told that she was to have no contact with the victim’s family, including her daughter who was present when the crime occurred. When she addressed the court, Lee said she is very remorseful and went on to claim that that she was a victim of assaults by Bennett. Lee said she had medical records and photos proving he assaulted her beginning when the relationship started in 2012 and including when she was pregnant with their daughter. Her attorney, Matthew Swisher, stated that although this case seems simple on paper, it isn’t. District Attorney William A. Shaw Jr. responded by pointing out she had many alternatives to escape her situation if it was that bad though he added that her records did not say anything about domestic violence. He also noted that the victim was found outside, half naked, after she stabbed him in their home. According to the affidavit of probable cause, after the incident when police examined her for injuries, they only found a small scratch on her neck and several small scratches on her hands from carrying firewood. A witness told police that he had known both Bennett and Lee for five years. About a month earlier, Bennett arrived at his residence with multiple stab wounds on his arm. Bennett told him Lee stabbed him in the arm and had attempted to stab him in the chest. Another witness reported that in the summer of 2017 she saw Bennett with injuries inflicted by Lee including a black eye and scratches to his neck and face. In her interview with police, Lee said she and the victim were arguing around 1 a.m. that morning about their daughter not being in bed. Bennett allegedly tried to pull their daughter from Lee saying she was his daughter too and she was going to bed. Lee told police she resisted. He reportedly then slapped her in the head and they began yelling obscenities at each other. The altercation moved into the kitchen where she said he punched her in the face. She then retrieved a knife from a block on the counter and intended to scare him so she could leave, she told police. According to Lee, he then allegedly smacked her across the face hard enough to knock off her glasses and causing her dentures to fly out of her mouth. She reported that she made a stabbing motion with the knife but wasn’t sure if she stabbed him. By the time she retrieved her glasses and dentures, he had fled the home. Lee said she looked out the door and yelled for him, but he didn’t answer. Because she was afraid he was going to return, she said she grabbed her daughter and went to her grandmother’s house. She dropped the girl off and returned home to see if he was back but she was unable to find him. She went back to her grandmother’s home and slept there. When she awoke, she called the victim’s family to see if anyone had seen him. When no one knew where he was, she returned to the residence around 6 p.m. but was still unable to locate him. She said she stayed for a while and cleaned up the blood from the kitchen floor. She returned to her grandmother’s home where she made more phone calls in an attempt to locate the victim. Eventually she called 911. Lee said she did not see the victim lying between a swing set and driveway just 30 feet from the home even though she had driven by him at least three times.